Le Musee Granet. 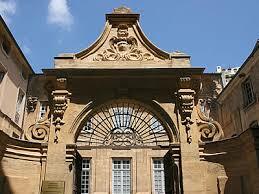 is located next door to the church St Jean- de- Malte. 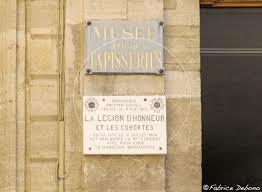 The museum is named after the well known painter Francois Granet ( 1775 – 1849). A while back the museum was closed for renovation and got a facelift and in 2006 reopened with the exhibition Cezanne en Provence. Le Musee Paul Arbot. is located in the center of the Mazarin quarters, this very intimate museum with its paneled ceiling and dark wooden cabinets, houses a very rich but small collection which includes 18th-century from Moustiers Ste-Marie and also books about Provence. ( 20 rue du 4 Septembre) closed Sunday and public holidays. 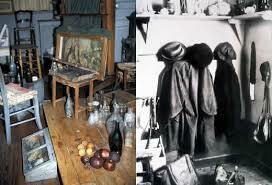 Atelier Paul Cezanne. The major runner of cubism, Cezanne lived and worked in this unassuming house uphill from the cathedral. It remains much as he left it in 1906, even his coat still hangs on the wall, this is where he painted the celebrated ” The bathers”. http://www.atelier-cezanne.com. Avenue Paul Cezanne. Closed on public holidays and on Sunday in December – January. Le Musee d’histoire naturelle. 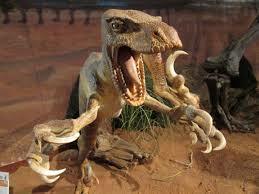 In the Jurassic era Aix en Provence was a breeding ground for Megaloolithid dinosaurs. If you are a fossil lover, you should visit to admire 553 of the 1,000 eggs from the region. The greatest number in the world. 1 Avenue Marcel Pagnol. http://www.museum-aix-en-provence.org. Open daily including holidays. Pavillon de Vendome. When the duke of Vendome was forced to enter the clergy in 1665 he built he built this very sumptuous palace, as a very secret love nest for his mistresses. The rooms contain interesting Provencal furniture and paintings. 32 rue Celony. Wednesday – Monday ( 10 am -6pm). 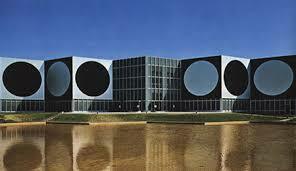 Musee des Tapisseries. 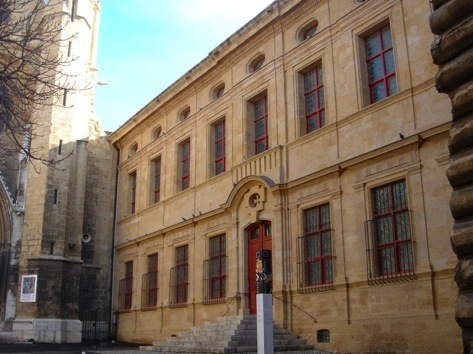 This former archbishop palace houses three series of important tapestries from the 17th and 18th- centuries, including the world’s only example of the history of Don Quixote by Natoire ( 1735). ( 28 Place des Martyrs de La Resistance). Closed on public holidays. Montagne Sainte -Victoire. 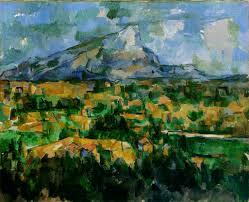 You will understand why this limestone range ( 3,297 feet) tall and ( 4 miles) wide, obsessed Cezanne. He painted it more than 60 times. Picasso , however got the final word. The Spaniard is buried on its north slope on the Chateau de Vauvenargues ( 9 miles) northeast along the D10. Musee du Vieil Aix. 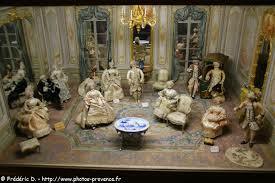 17 rue Gaston de Saporta, displays assorted local items including Santons ( Clay Provencal figurines). Closed on Monday, also in October. Foundation Vassarely. 1 Avenue Marcel Pagnol. This modern structure is made from black and white metal, shaped like honeycomb.It was designed by Victor Vasarely an hungarian artist in the 1970’s. 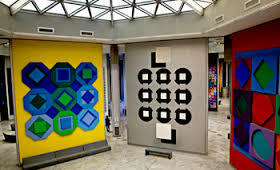 It houses his Avant-garde collection ( wild geometric tableaux) and explored the boundaries between Art and Architecture and promotes Art on a national and international scale.www.foundationvasarely.fr. Closed on Sunday. Musee du Vieil Aix, Les Santons de Provence. Dinosaurs at the musee d’histoire naturelle in Aix. Aline Cezanne , a friend and the great grand daughter of Paul Cezanne. Montagne Sainte Victoire by Cezanne.